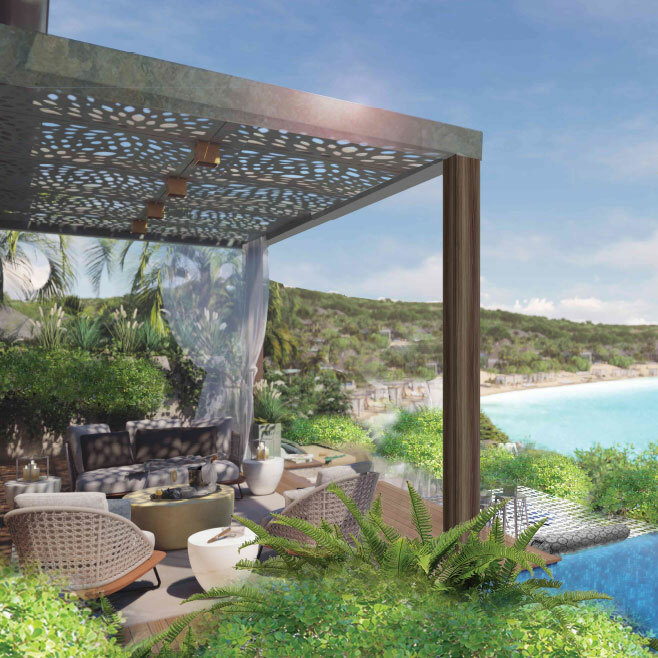 The Residences are defined by Rosewood's luxurious, personalised design approach. Fully serviced and furnished, the Residences are discreetly set into the landscape with natural connections to tropical gardens and vivid Caribbean views. Most homes are 2 or 3 bedrooms on 4,450 to 5,800 square feet. There are just 6 residences with 5 bedrooms on 8,700 square feet. All have private outdoor spaces with pools, open-air bathrooms and spectacular views over the stunning turquoise water and white sand. 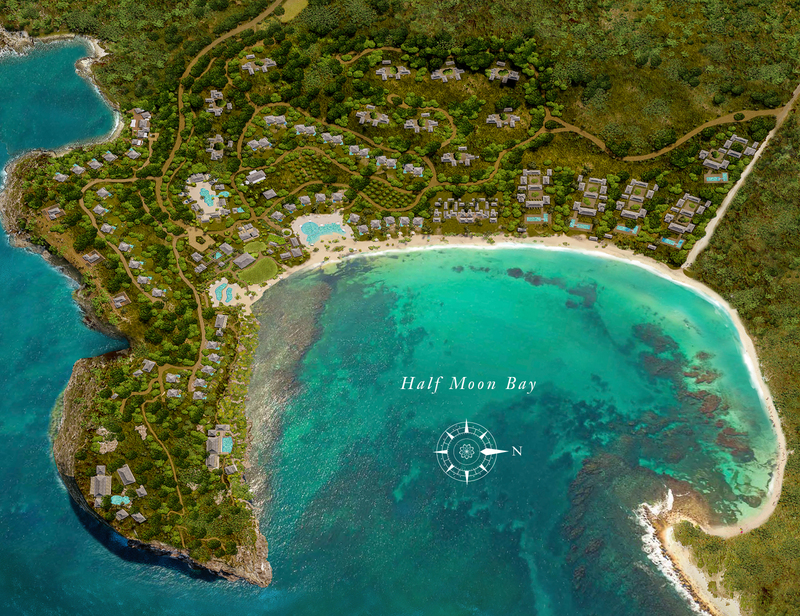 Four intimate 4-bedroom villas carefully set just 50 feet back from the spectacular sea. Subtle divisions use plants and natural materials to create privacy and serenity. 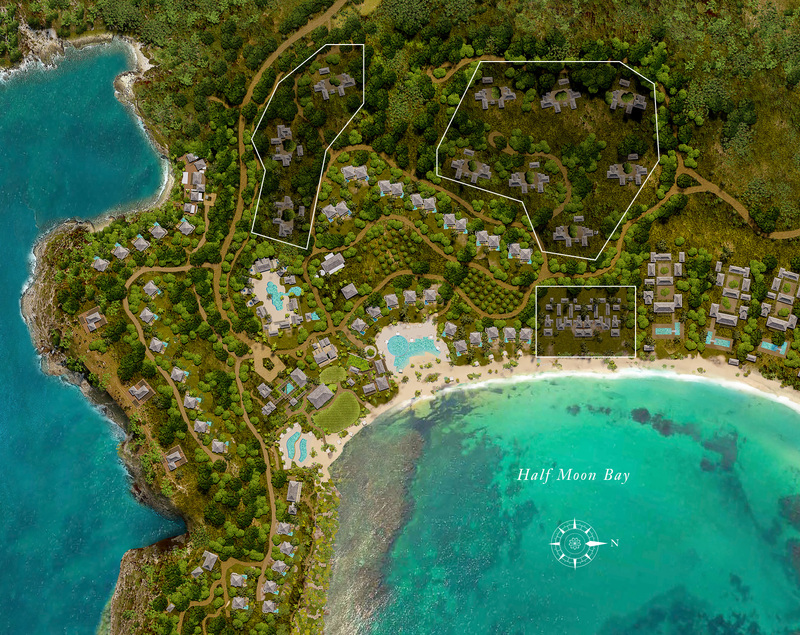 The renowned Studio Piet Boon’s vision for Half Moon Bay is for a resort that truly connects with the nature and serenity of its setting. Throughout the resort, there is a fluidity between indoor and outdoor spaces to promote tranquillity, exploration and harmony with the environment. Every guest has private outdoor space, a view of the water and easy access to the sea. 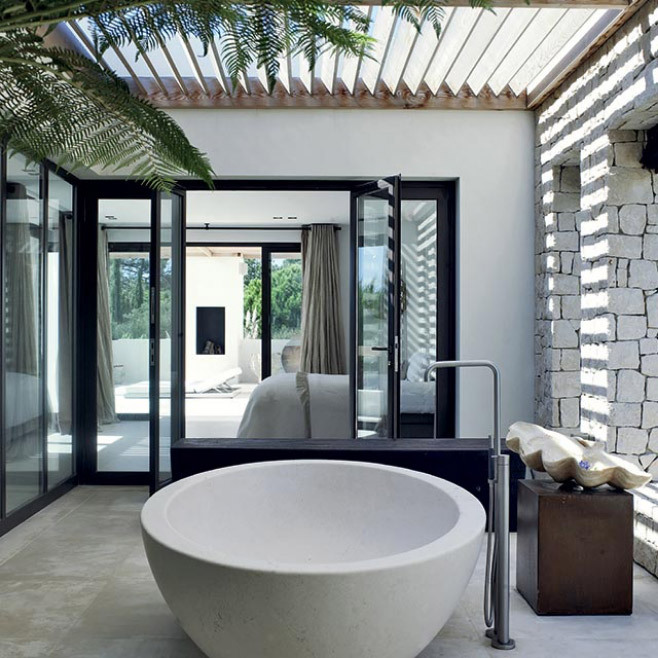 Personal outdoor space includes private plunge pools, tropical gardens, and cabanas. Architecture features local materials including stone, wood, metal and rope. Sustainable structures provide shelter and comfort, with minimal definition between interior and exterior environments. 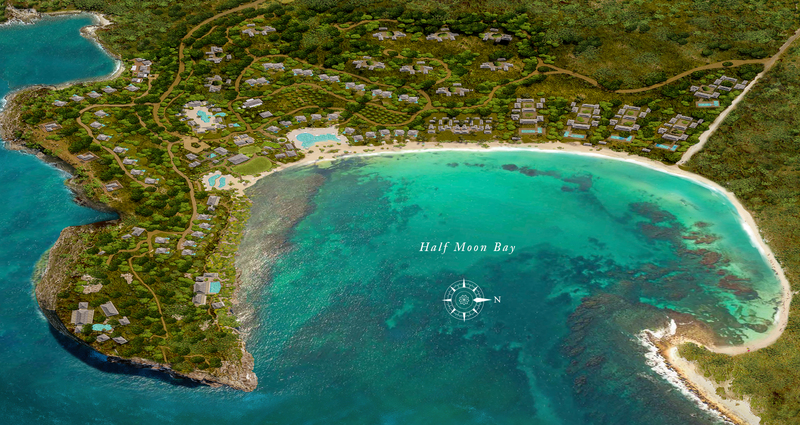 Buildings sit gently on the land, providing memorable views that showcase the very best of the Caribbean.